You need to do more than hire a 1920s jazz band to make your Great Gatsby themed party a success. F Scott Fitzgerald’s famous titular character, Jay Gatsby, is known for his huge, extravagant parties. It didn’t end particularly well for him, but his West Egg mansion is full of inspiration if you’re throwing a 1920s Great Gatsby-themed party of your own. 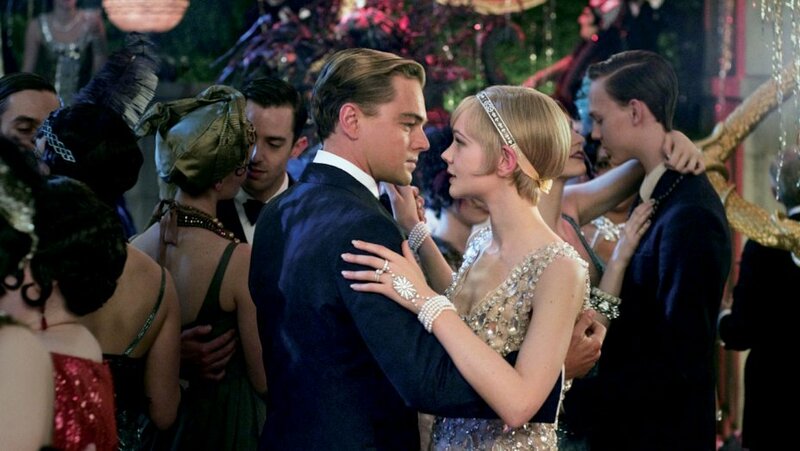 Jay Gatsby’s main aim was to throw parties so over the top he would impress lost love Daisy Buchanan. It’s not a Gatsby party without decadence, otherwise he wouldn’t have been able to encourage most of New York and Long Island’s elite to attend. Art Deco style is synonymous with the 1920s, and would have been a major theme in Jay Gatsby’s fictional mansion. Its a modern, graphic style often using luxurious materials, and was generally only available to the wealthy until it was mass produced in the 1930s. Decorate with rich fabrics, gold art deco details, chrome, and (if your guests don’t have hayfever) an excessive amount of flowers. There were many rumours about where Jay Gatsby sourced his wealth. Some thought he was a bootlegger, others assumed he had mafia connections, and there’s even a story he was a dodgy bookmaker. Every Gatsby party would be preceded by crates and crates of fresh oranges arriving, as well as a variety of other extravagant ingredients. Gatsby’s buffet table included “glistening hors d’oeuvre, spiced baked hams crowded against salads of harlequin designs and pastry pigs and turkeys bewitched to a dark gold”. Your menu should be excessive with lots of exotic flavours, colours, and smells, all beautifully arranged. 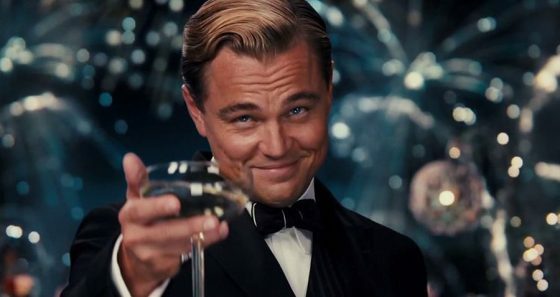 Gatsby catered to both old money and new money. This was a time when people were keen to demonstrate how much money they had, and one of the best ways was to dress up. It’s no accident that Fitzgerald spent a lot of time describing the characters outfits, giving them vivid colours like “gas blue”, “gleaming white”, and yellow and gold are continually used to represent wealth. Whatever colour you choose, make it rich and bright. Only jazz can get the party started at a Great Gatsby themed party. We’re a unique live 1920s jazz band specialising in music from the roaring twenties. With many years’ experience entertaining at intimate speakeasies and prohibition parties, we not only have the authentic sound but a team of flappers too. Our Jazz Age hits and authentic Charleston will complete your Great Gatsby themed party. For booking enquiries and prices, give us a call or send us an email.